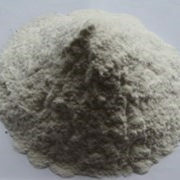 Rapid Strength Non-Shrink Grout （CGM-QGW） - MUHU (China) Co., Ltd.
CGM-QGW is a rapid strength, cement-based, nonmetallic, non-shrink grout for supporting machinery requiring precision alignment and quick turnaround.It provides high early and final strength, excellent substrate adhesion and fluidity. It is non-toxic, non-corrosive product. • The mortar could flow automatically so that no vibration is required. • Strength could reach up to 10-15MPa in one hour and 40MPa in one day after grouting. • High early and final strength excellent substrate adhesion and fluidity. 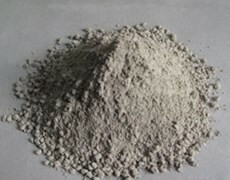 • Grouting concrete could reach and keep high intensity over a long period of time. • No shrinkage and no crack. Calculate the required amount of CGM-QGW before mixing. Ensure CGM-QGW is left to stand for 60 seconds prior to immediate application. This aims to release air which has been introduced during the mixing procedure. Carefully pour the grout down the side of the header box (or in the case of gravity feeding by tube, ensure the funnel not empty during application). Clean all tools with water and brush immediately after use.